In an MTBS3D thread, started by Jademalo, user StellaArtois has been developing Minecraft Oculus Rift support, which is still currently a work in progress. 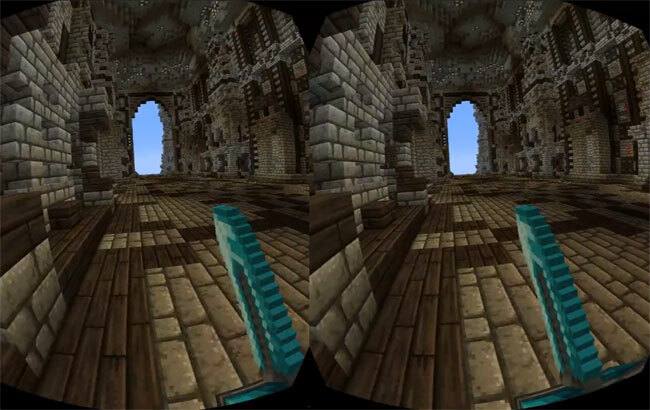 Watch the video after the jump to learn more about the Minecraft Oculus Rift support project and see it in action. “With the recent release of the Oculus Rift Dev kits I have been looking all around for games to try out with my Oculus Rift. I have played everything from Team Fortress 2 / Mirriors Edge to a Roller Coaster Simulator. For more information on the new Minecraft virtual reality support jump over to the MTBS3D website for details.